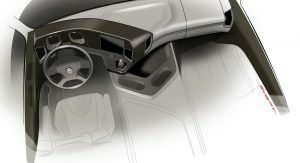 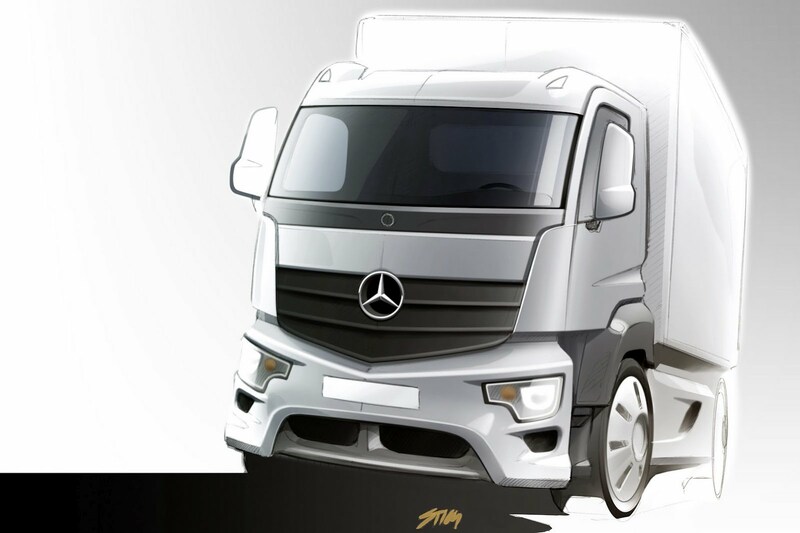 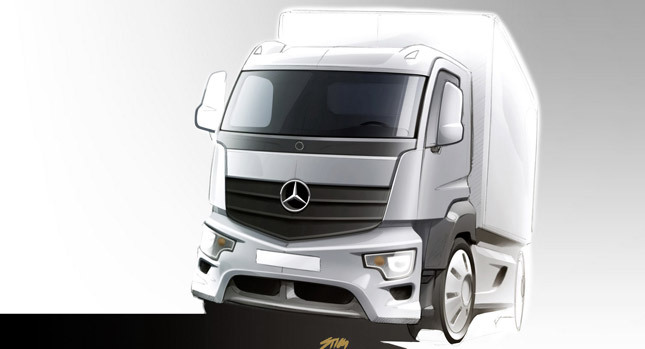 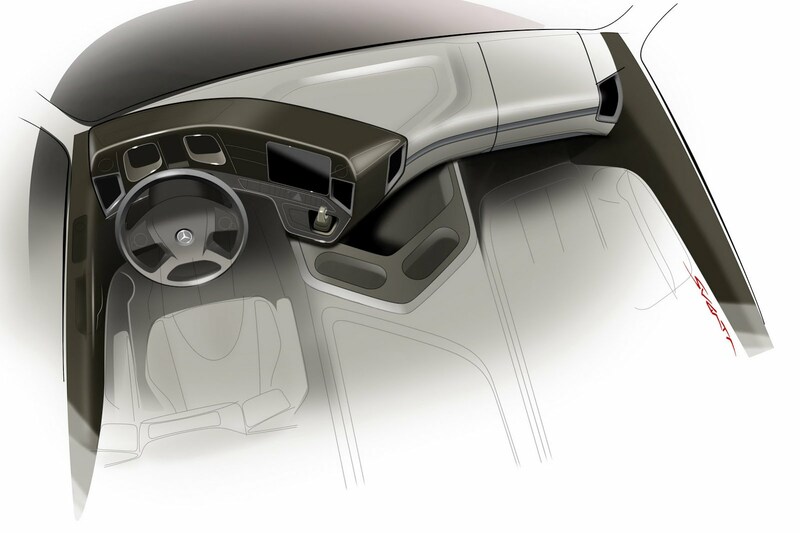 The Mercedes-Benz CV division has announced the name and released the first sketches and photos of the new Antos truck in advance of its world premiere at the 2012 Commercial Vehicle Show in Frankfurt this September. 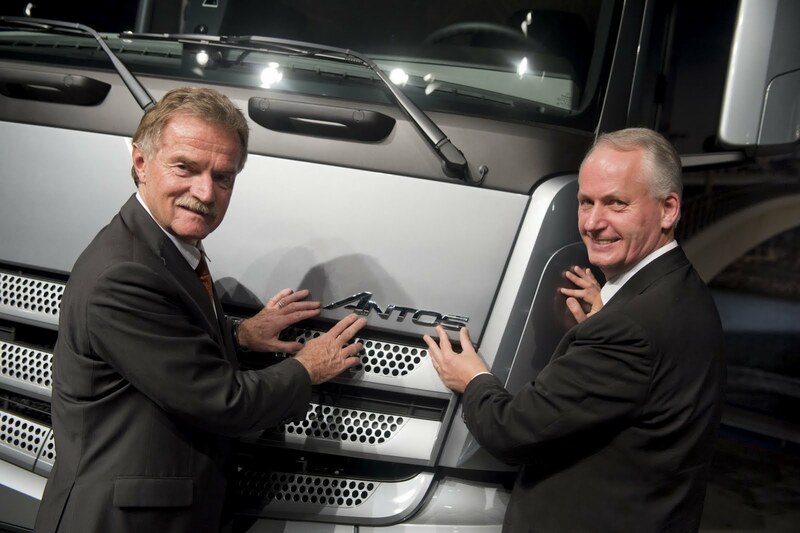 The new Antos model series is designed specifically for heavy-duty short-radius distribution, which Mercedes-Benz says covers the regional transportation of goods such as food. 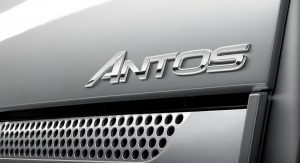 The styling of the Antos draws its inspiration from the larger Actros, which is Mercedes-Benz’s proposal in the long-distance transport truck segment. 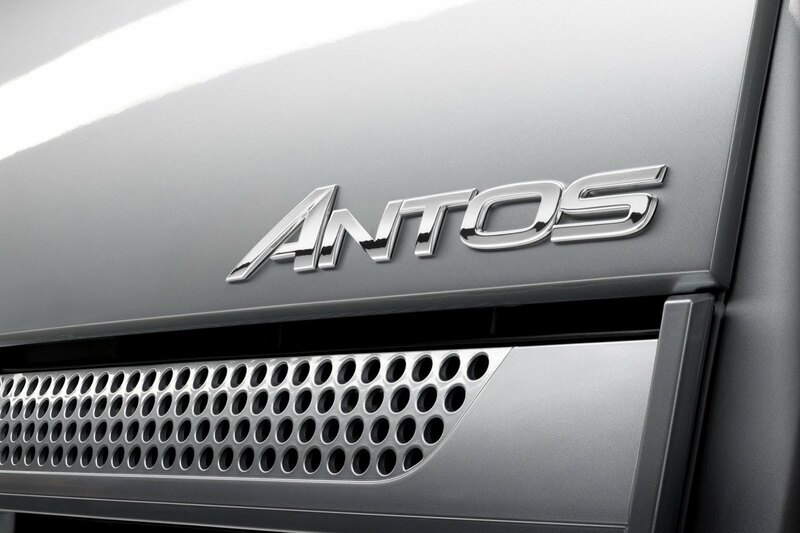 The Antos offers a 2.30-metre wide cab in either short or medium-size versions and will be available in platform truck or tractor units with a wide range of 67 wheelbase lengths, varying from 2650 mm (104 inches) to as much as 6700mm (263.8 inches). 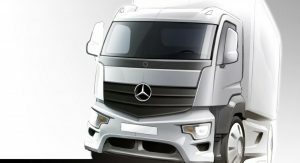 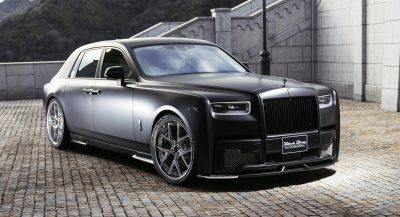 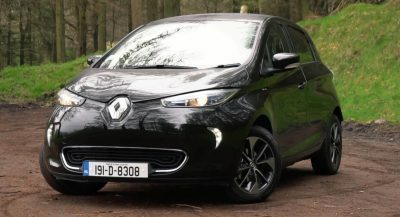 The engine lineup is equally diverse as Mercedes will offer a total of 13 Euro VI units ranging in power from 239hp to 510hp.